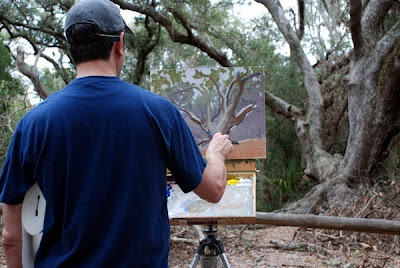 I’m back from my workshop in Amelia Island Florida which was a great success in spite of the crummy weather. Stayed in Charleston on the return trip and was unable to post to the blog last Sunday because of a lack of internet service. I will return to my weekly Sunday posting schedule following this post. 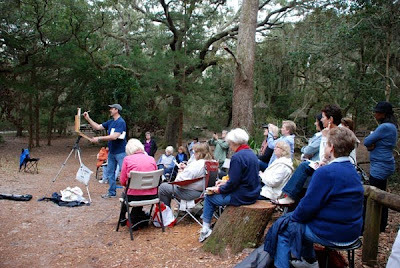 Monday I painted a 16×20 demo at Fort Clinch State Park and opened it up to the public. 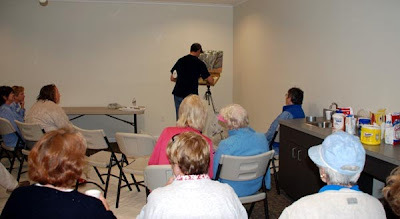 We had 13 people in the class and another 12 showed up in the rain to watch me paint. The last 45 minutes the rain got too heavy and we all ran inside where I finished the painting from memory. Here are a few pictures. Painting inside from memory. I would never do this for myself but it was a good lesson for the students on being flexible and not giving up on a painting. 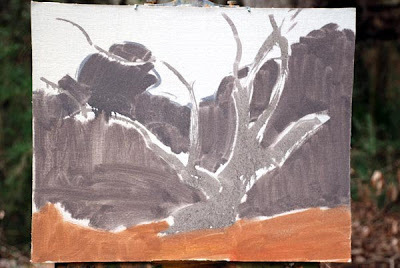 There is enough information here for me to paint a studio painting at a later time. 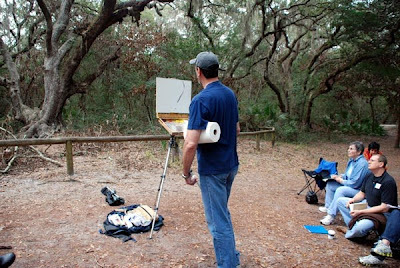 Sometimes you can’t get a finished painting in the field but you can collect enough information for a great studio painting. 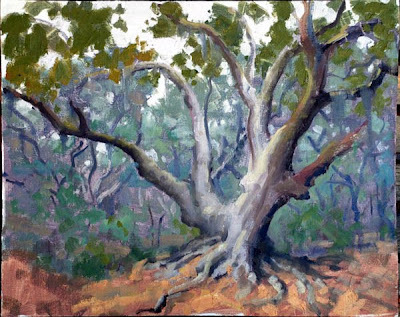 A field sketch will always have more truth than a photo will. Awesome study! I love the colors in this one. Thanks, this was one of those situations where the weather was not going to cooperate.